Part of the trail that will be used for the Race the Rails event in Ely, Nevada on September 9, 2017. Photo courtesy White Pine County Tourism & Recreation Board. [Updated article for 2018] – A new and unique experience is on the horizon. Ely, Nevada is home to one of the nation’s largest time capsules, the Nevada Northern Railway. Here you will find coal fired steam engines that are over 100 years old still billowing their plumes of steam as they lumber down the track. Now add beautiful mountain trails and the Loneliest Highway in America, Highway 50, and you have the makings of an epic exhibition bike race that is fun for the whole family! On September 8, 2018 racers will get the chance to see if they have the steam to beat the train! Both road and mountain bike racer will have the opportunity to test their mettle. Road bikers will begin with a short ride to the entrance of the Robinson Nevada copper mine where they will circle a 240-ton haul truck. On their descent toward Ely, they will find themselves side by side with the giant iron horse. The road bike course spans approximately 25 miles with an elevation gain of 820 feet. 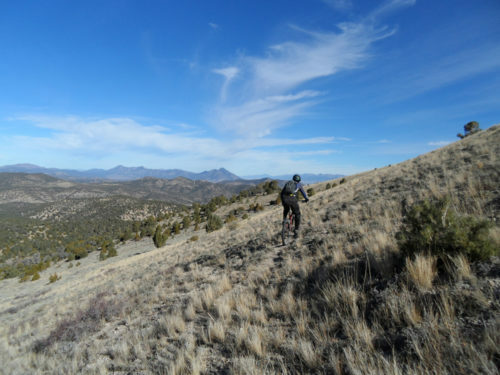 Mountain bikers will ride over 11 miles on single and double track trails with an elevation gain of 1400 feet. Registration is $75.00 ($85 day of). All racers will receive a race shirt, finisher’s medal, swag bag, BBQ ticket and train ride voucher which may be used to get the racer and their bike to the start line (bike spaces are limited) or on one of the regular train excursions scheduled throughout the weekend. Those wishing to board the train will begin loading at 8:00 am at with an 8:30 departure time scheduled. Race start is at 10:00am from the Keystone Bridge. The BBQ will take place at the depot beginning at 1:00 p.m. and extra tickets for family and friends are available. A variety of vendors will be open at the depot starting at 10 a.m. There will be a small triathlon for kids beginning at 11:30 a.m. While you are in the area you won’t want to miss visiting some of the other area attractions. 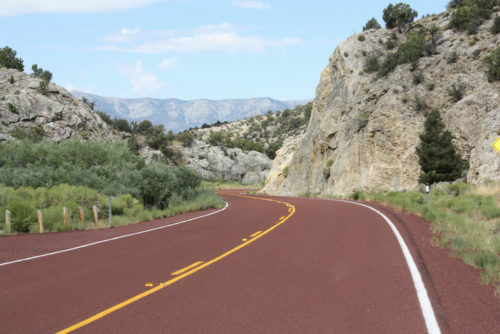 Great Basin National Park and the Lehman Caves, located approximately 68 miles south east, offers beautiful scenic drives and hikes, 60 & 90 minute cave tours and amazing night time sky presentations. Hike, fish, kayak or just relax 13 miles outside of town at Cave Lake State Park or take your time and explore our Outdoor Murals, Renaissance Village, Ely Art Bank, White Pine Public Museum, or the McGill Historical Drug Store. Come join us for a great time for the whole family! You can register for the race at www.elynevada.net. More information on the area is also available on the website or call the Bristlecone Convention Center at 800-496-9350. The road to Cave Lake is pretty, and isolated. Photo courtesy White Pine County Tourism & Recreation Board.